Some albums take a while to warm up to, but every so often I come across one I know is going to be a fixture in my music collection for a long time. 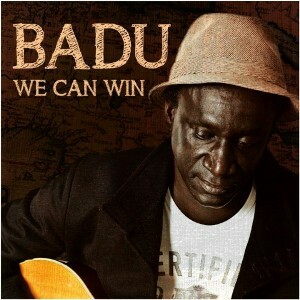 The first few bars of harmonica on Senegalese singer-songwriter Badu Boye’s new release We Can Win decided it for me. 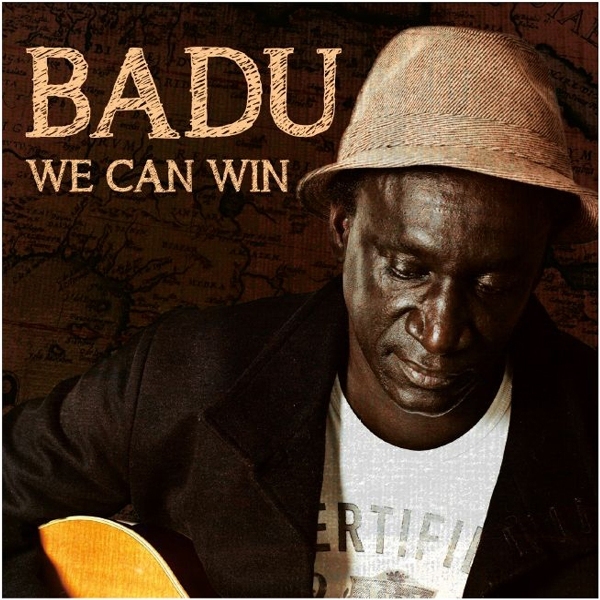 Badu Boye’s open-hearted harmonica, guitar, and vocals on We Can Win evoke Bob Dylan at his best in the early 1960s, but with a thoroughly contemporary edge incorporating electric guitar, bass, drums, trumpet, violin, cello, mandolin, and other instruments. Composed individually, the songs represent different musical moments from over a decade, including “Mboolo Mi” from the 1997 album Woyou Talibé, which Badu released with Pape Armand Boye, his brother and the producer of We Can Win. The Boye brothers debuted on Senegalese television in the early 1990s with a sound that was a bit different during a time when synthesized mbalax music dominated the airwaves: a simple pairing of acoustic guitar and bass. Through their ground-breaking early performances and recordings, they led the establishment of acoustic music as a genre still thriving today in Senegal. The album’s arrangements are layered around Badu’s signature harmonica and acoustic guitar, and are filled with bursts of shimmering, beautiful sound when you least expect them. Sukjong Hong’s violin catches you unawares with its pure sweet sound on “Politique,” while Will Martina’s cello ripples in and out of the melody toward the end of “Mboolo Mi.” Of all of the tracks though, the loveliest of all perhaps is “Melokaan,” a simple arrangement with Badu’s brother joining him on acoustic guitar. We Can Win is one of those albums I pull out when I need a gentler perspective on life after a harsh day, and more than deserves its place as a long-term fixture in my music collection. Samples of the tracks can be previewed on Badu’s website. This entry was posted in Review and tagged Acoustic, Guitar, Senegal. Bookmark the permalink.